!!! 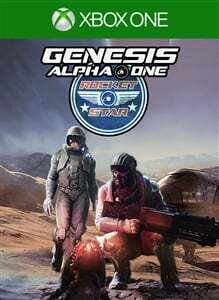 Pre-Order Genesis Alpha One today and receive the Rocket Star Corporation Pack as an added bonus !!! Exclusive weapons for Rocket Star Corporation: - UTS 15 - Firebomb Launcher (FBL) - AsVal - Kugelblitz Genesis Alpha One mixes thrilling roguelike mechanics with a deep ship builder and fast first-person action, putting you in the role of an interstellar pioneer. In a near future ravaged by wars, corrupt regimes and devastating pollution, influential corporations have created the Genesis program in a last-ditch attempt to save humanity. As the Captain of a Genesis starship, you journey into uncharted space on the ultimate mission. Build and manage a space vessel, farm resources, deal with terrifying alien infestations, clone creatures and explore a vast, randomly generated universe. Your goal: Find new homes for humanity’s DNA and save the species from extinction. 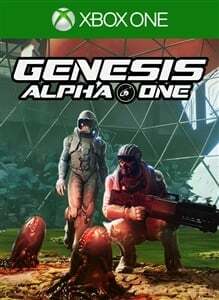 A ROGUELIKE ON AN EPIC SCALE Every journey in Genesis Alpha One begins with a huge, randomised galaxy filled with adventure and peril. Discover new planets, encounter asteroid fields, survive hostile encounters as you explore the vastness of space. Death is permanent so every crew members life matters, and every decision must be carefully considered. BUILD AND MANAGE YOUR UNIQUE STARSHIP Starting with a small vessel, you’ll have to build and maintain an intergalactic ark by combining dozens of upgradable spaceship modules including crew quarters, workshops, hangars, clone labs and greenhouses. Using an intuitive building menu, easily snap together the pieces of your ship to tailor it to your playstyle. Develop your vessel and then explore your creation in first person. BATTLE ALIEN INFESTATIONS Alien infestations can spread quickly, contaminating the ship and crew. It’s imperative to wipe them out before you become overwhelmed and your ship is destroyed! An arsenal of weapons and defences can be researched to help you fight the alien threat. Unleash Turrets, Force Fields, Laser Blasters, Shotguns, Rifles, Grenade Launchers, Rocket Launchers, Flamethrowers or alien weapons to devastate hostile lifeforms. CLONE YOUR CREW AND CREATE NEW LIFEFORMS As your ship grows, so must your crew. Using ground-breaking cloning technology, your crew will expand to meet the needs of the ship. Loot DNA samples from the aliens you encounter across the galaxy and splice them with members of your crew to give humanity a chance to prosper with abilities far beyond what was previously imagined. HARVEST RESOURCES FROM THE VASTNESS OF SPACE Roaming the immense universe won’t be possible without gathering resources. Elements such as Iron, Copper, Uranium and Plutonium must be mined from planets and then refined on-board your ship. These will be utilised to build new modules, weapons, clones and tools. You can join the harvester crew on planet surfaces and discover additional loot and secrets.